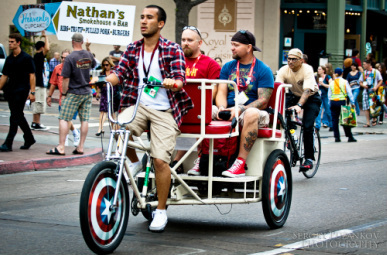 At San Diego Pedicab, we pride ourselves on offering the best environmentally-friendly way to get around San Diego. Rides - Stop us anytime you see us and will get you where you need to go, so you can enjoy the sights of beautiful San Diego. Tours - Half hour narrated tours around Gas-lamp, Little Italy and Water Front.